Telling the food story of spring, summer, autumn and winter, this is the definitive guide to cooking the right things all through the year. When it comes to the tastiest food, keeping in touch with the rhythm of nature allows us to cook the most delicious recipes with the freshest, most flavoursome ingredients. Each dish is a celebration of the best of local British produce, from Fishcakes with Wilted Chard, Red Pepper and Feta Fritters, Rocket Pesto with Sirloin and Panna cotta with Poached Rhubarb, The Allotment Cookbook follows seasonal produce to restore a natural way of eating. You don't need to have an allotment or big kitchen garden to enjoy this book; although all the ingredients can be found in the shops, have a go at growing your own in the garden, in a scrap of ground or in a pot on a windowsill - it's so easy and is one of life's most satisfying pleasures. 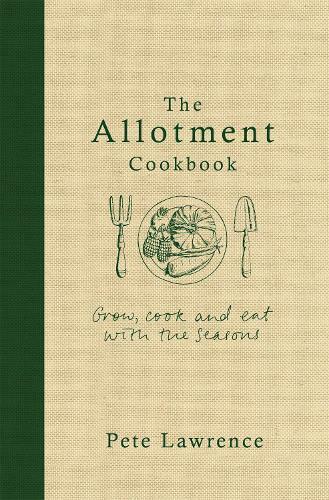 The Allotment Cookbook is a joyful guide to a sustainable and nourishing way of life.